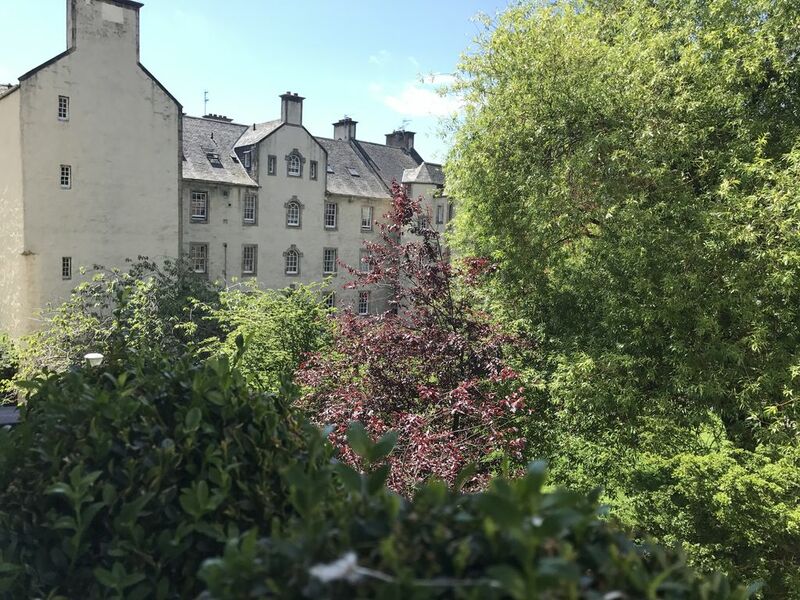 Newly renovated Chessels Court apartment on The Royal Mile, this contemporary two bedroom apartment is perfectly located to allow you to experience all that Edinburgh has to offer whilst enjoying the peace and quiet of this courtyard setting. Fully equipped and change overs/cleaning carried out by a professional cleaning company. All linens and towels are provided for free of charge. Free WIFI is also offered with unlimited usage. I was born and rasied in Edinurgh. Love Edinburgh and everything it has to offer and hope you do to. My apartment is located right on the Royal Mile within a quiet courtyard setting. Step out to be right in the middle of all the action and enjoy everything Edinburgh has to offer. My apartment was recently totally renovated to a high standard with wired in smoke alarms and double glazed windows. Its fully equipped for most travellers needs and is cleaned after each and every stay my a professional cleaning company. Parking is paid in a local car park . See www.parkopedia.com for the nearest car park . 2 Sofas, which one is a double sofa bed. Apartment located In an apartment with no Lift access . There are approx. 30 steps up to the property located on the 2nd Floor. The apartment was great and exactly what we needed for our family trip! It’s so central and easy to walk everywhere from! Advice and suggestions were given too and the link to stasher for luggage storage was very helpful! Would highly recommend to stay here! Well appointed flat close to all the best tourist locations in Edinburgh!! Great friendly owner who helped in every way possible - would highly recommend staying here if a single family or small group!! Loved this flat on the Royal Mile! Thoughtful touches such as a heat sleeve for curling irons, full kitchen complement, adapter plug, great home appliance instructions and excellent communication by owner made this a great choice for our family. Will return and definitely recommend! This property was in an amazing location to go out and explore the Royal Mile and all of Edinburgh. Apartment is modern, clean and with every amenity you would want for a vacation stay. The owner was very responsive to all questions and getting to the apartment from Waverly Station and check in was simple and easy. We would definitely stay there again and recommend it to others. The place is exactly as described. It’s located right in the Royal Mile and is very close to the train station as well. The sitting room is a bit tight but spent most of our time enjoying the great city of Edinburgh. Many Thanks , it was great to have you . Hopefully you’ll come back again ! Lovely modern property with all amenities that you need, would happily use again. Check Out is 10:00. Check in is 1500 on wards via a keysafe. I will email you a document on how to find the keysafe and also the code to access it.